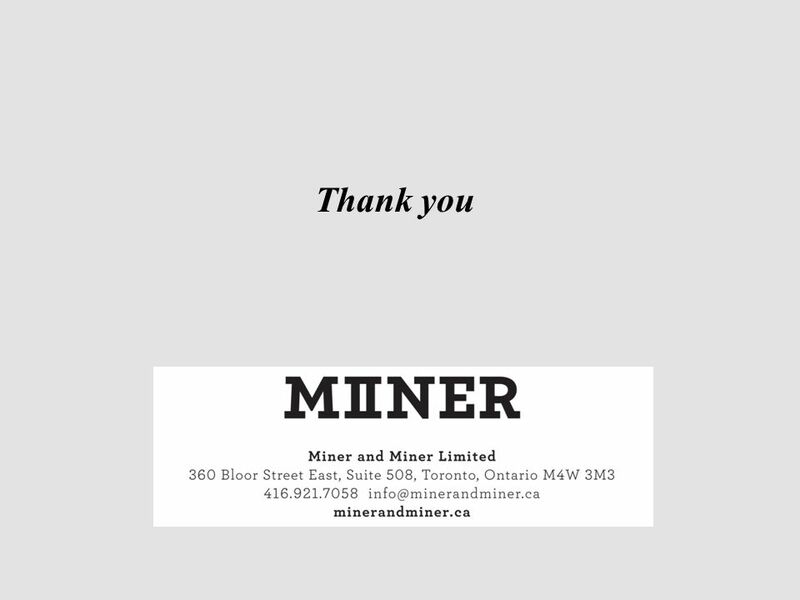 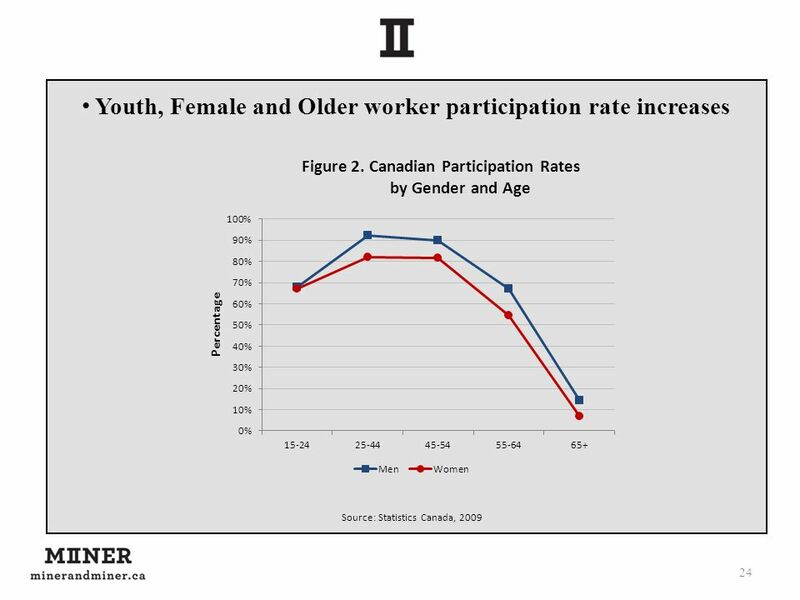 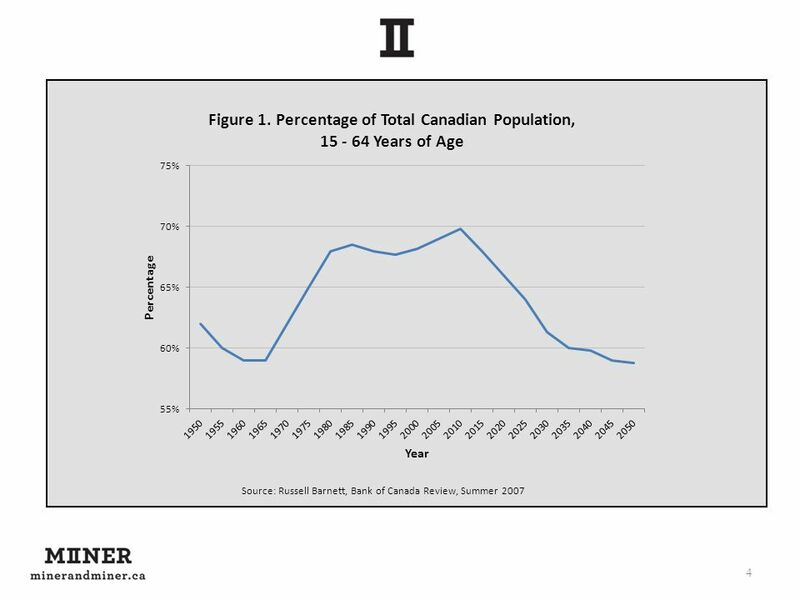 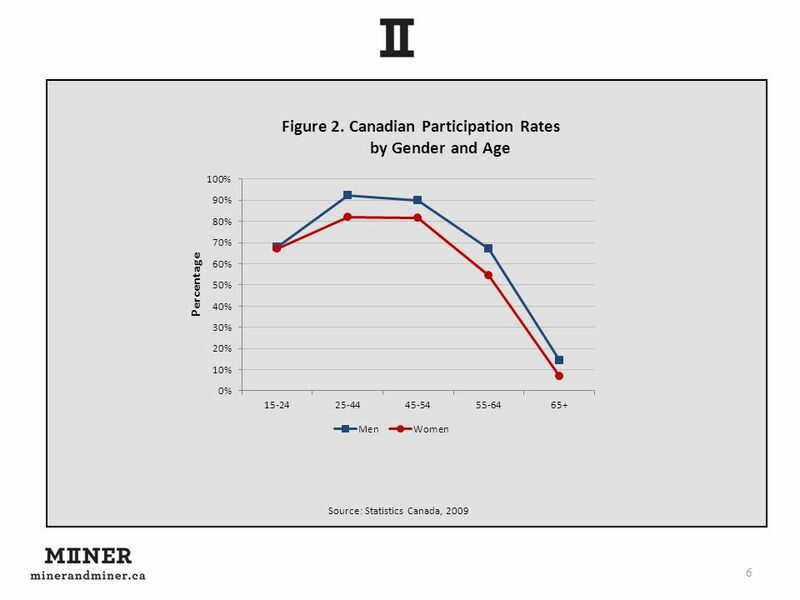 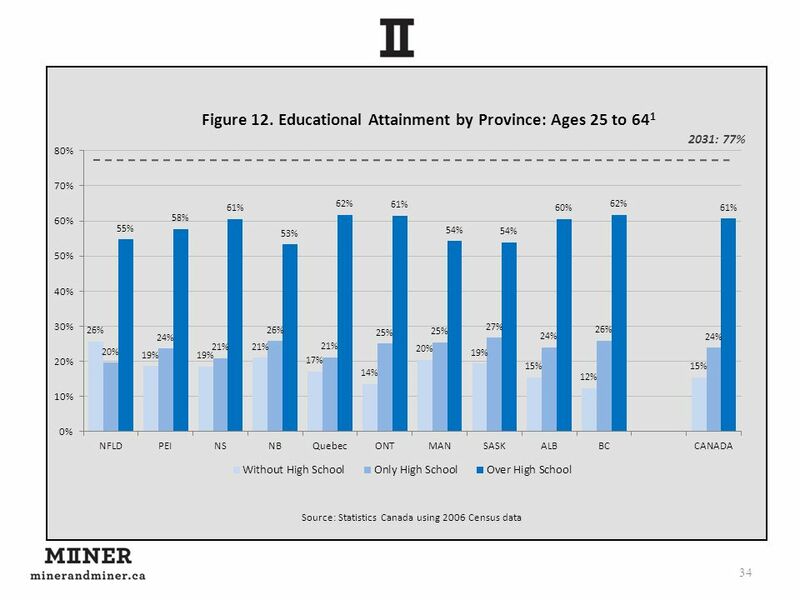 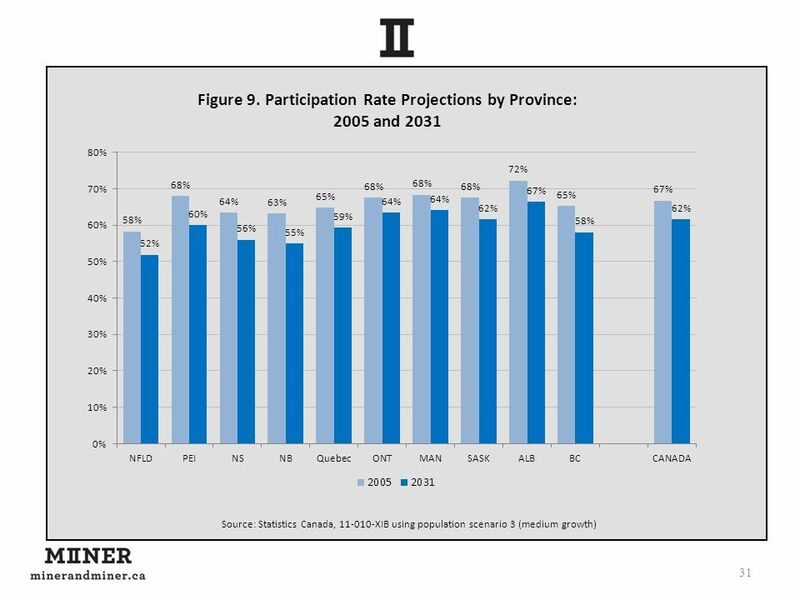 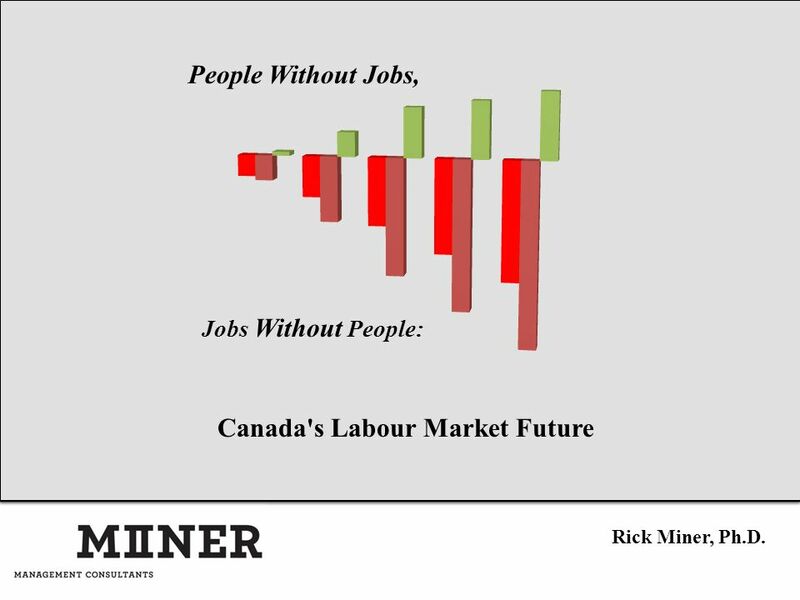 People Without Jobs, Jobs Without People: Canada's Labour Market Future Rick Miner, Ph.D.
5 How will their “exit” affect Canada’s labour markets? 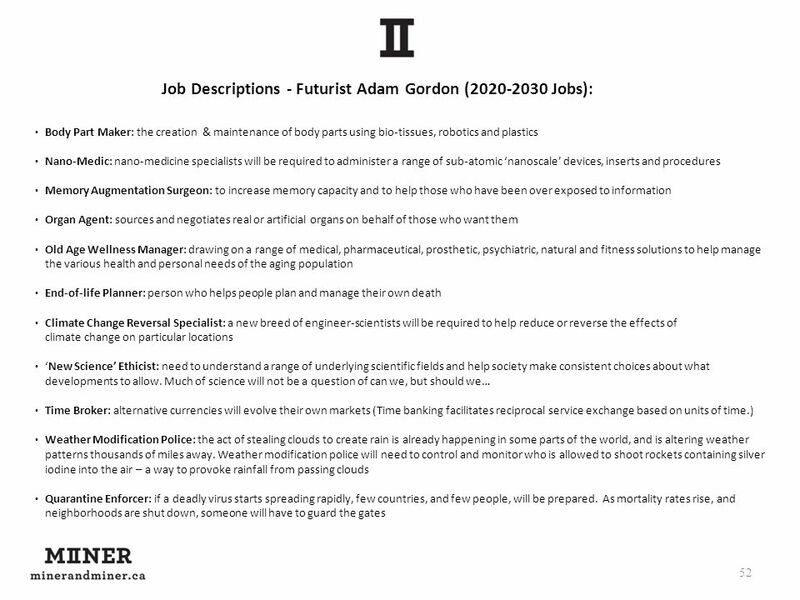 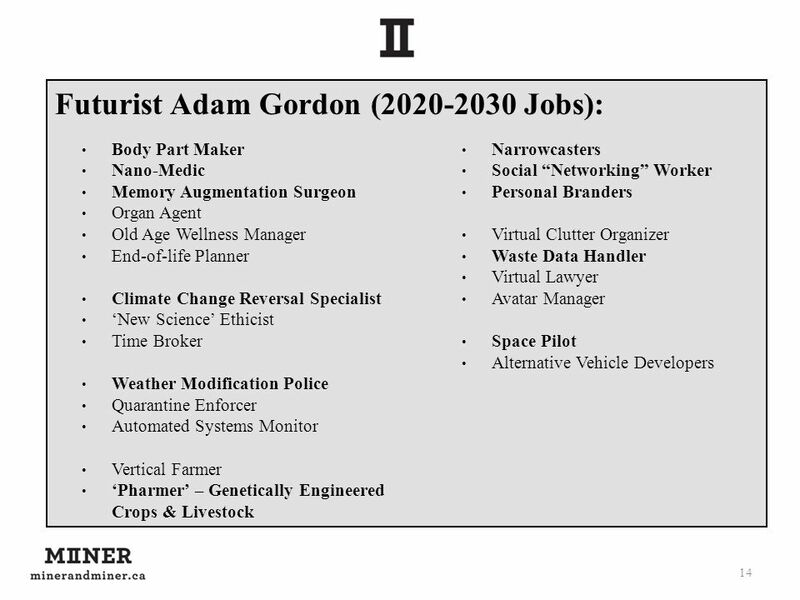 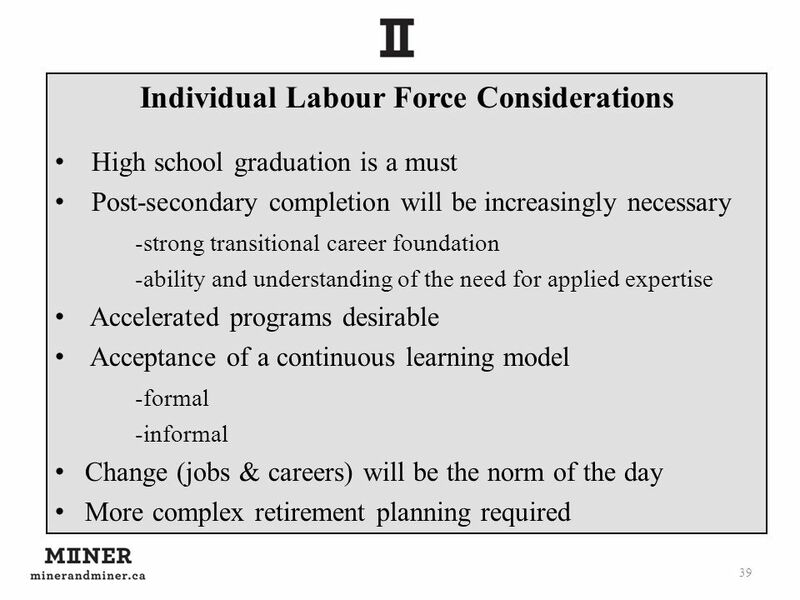 12 What kind of new jobs/workforce does Canada need? 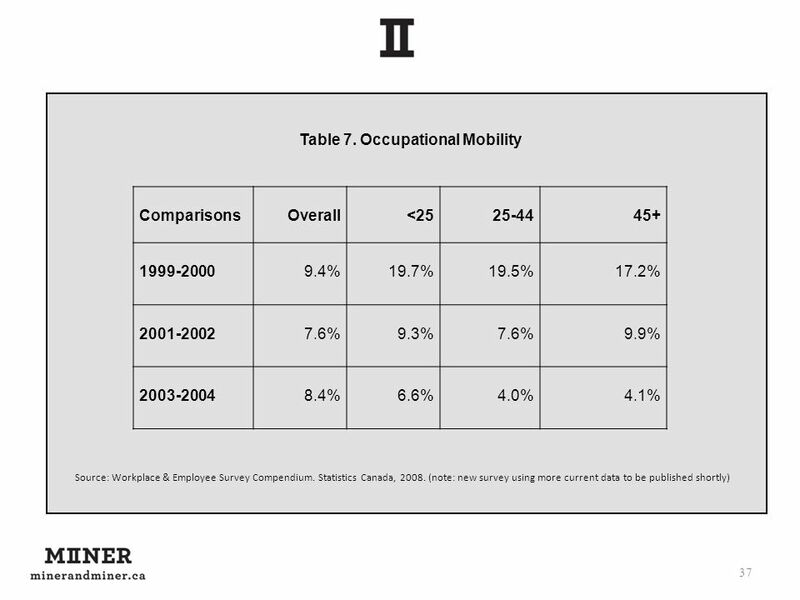 In 2003, a quarter of the jobs listed in the U.S. Occupational codes did not exist in 1967. 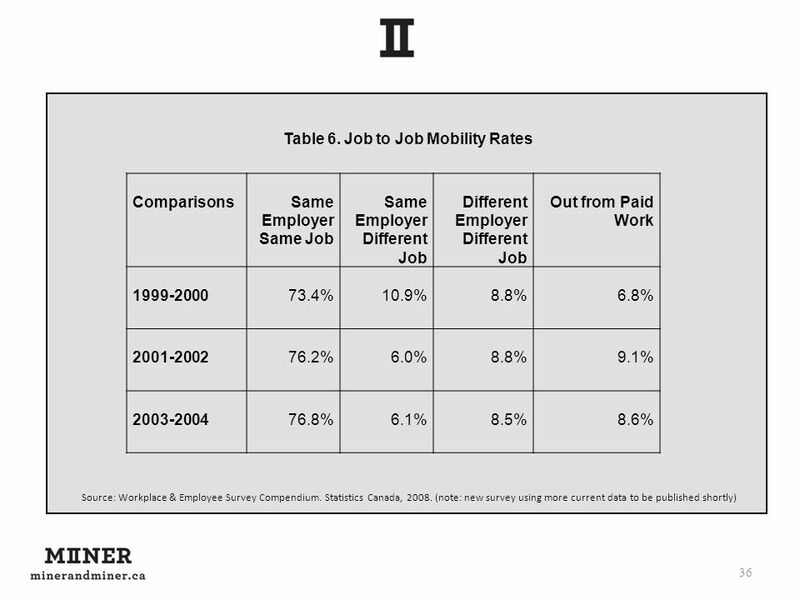 “Old” jobs become new jobs every 15 years. 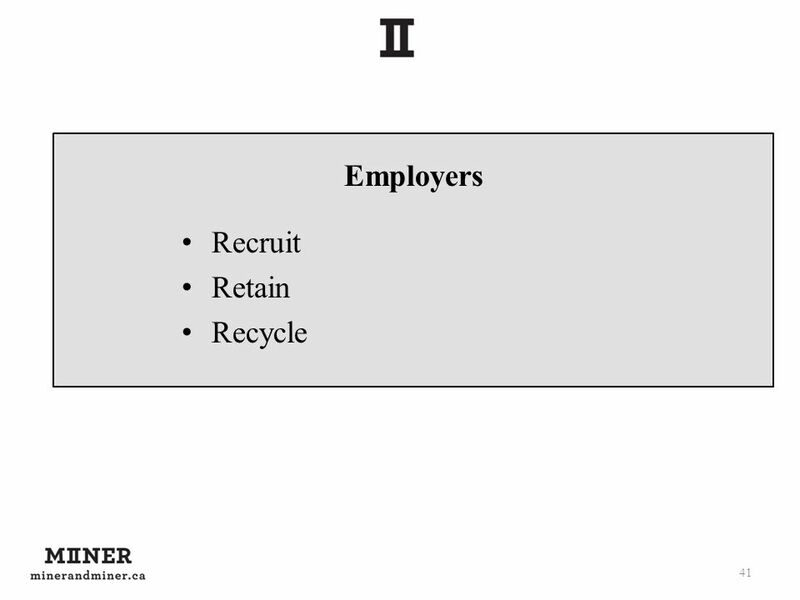 Knowledge economies require knowledge workers. 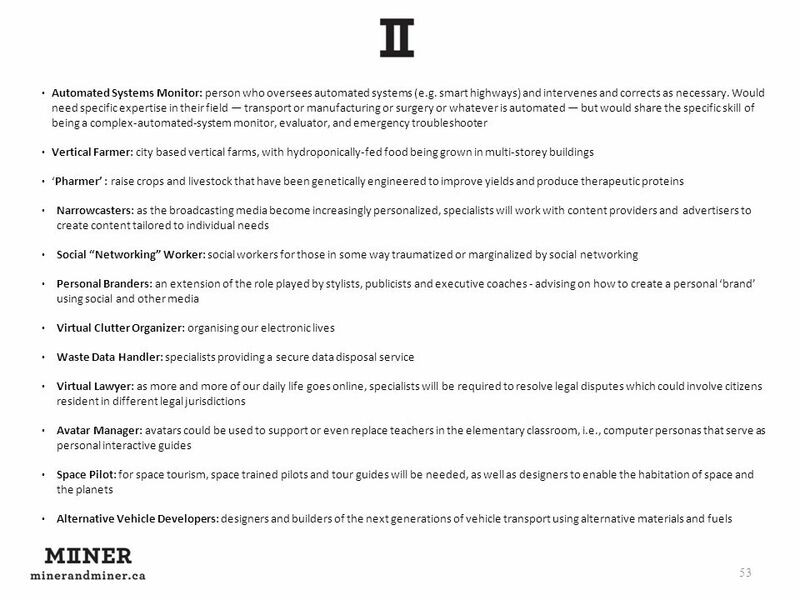 35 What should we know/consider? 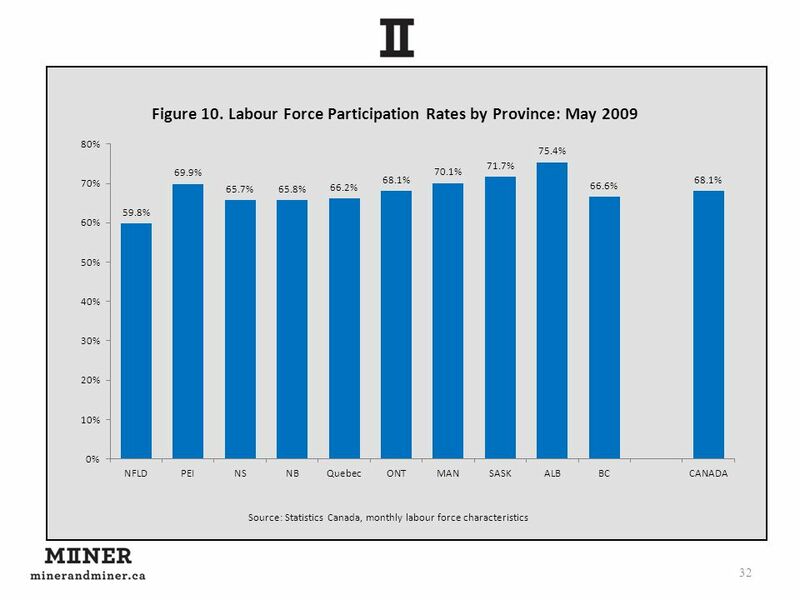 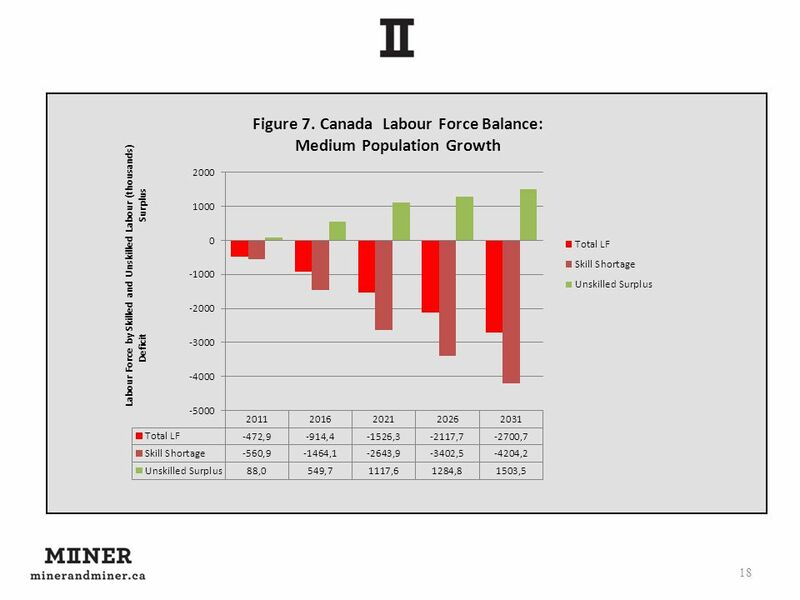 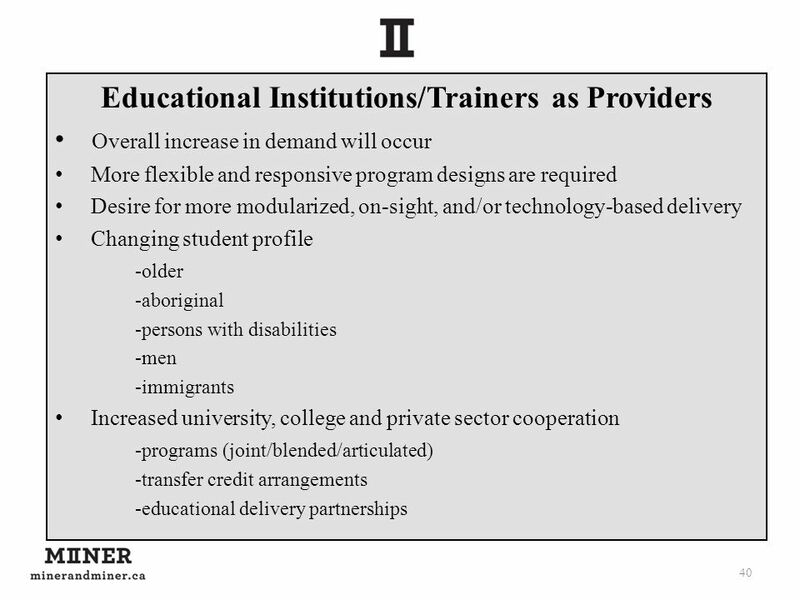 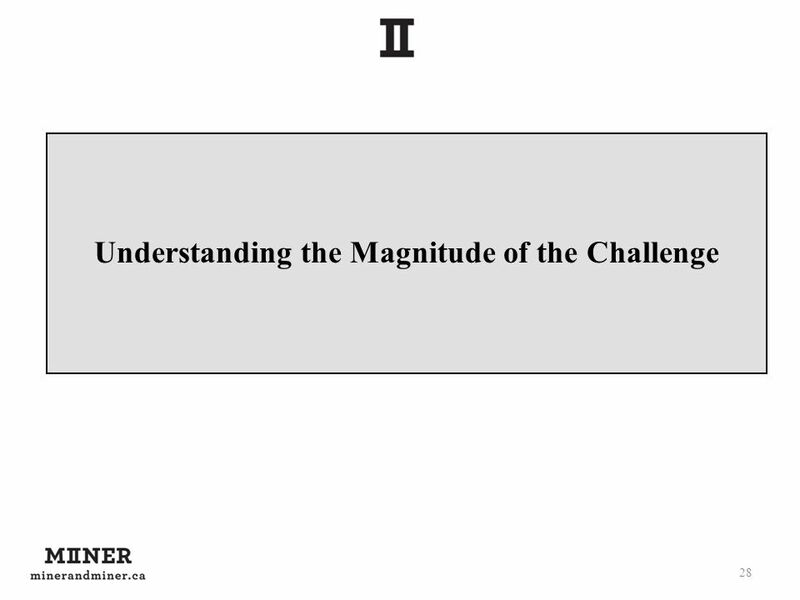 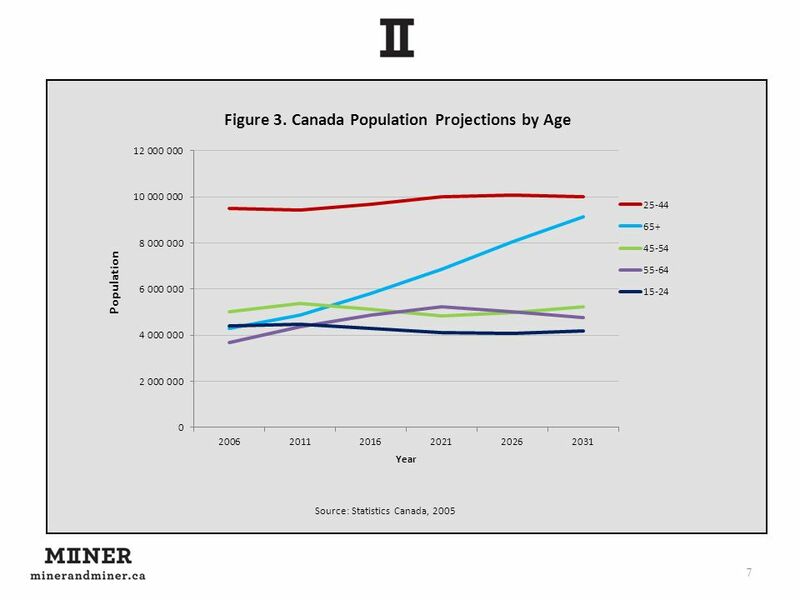 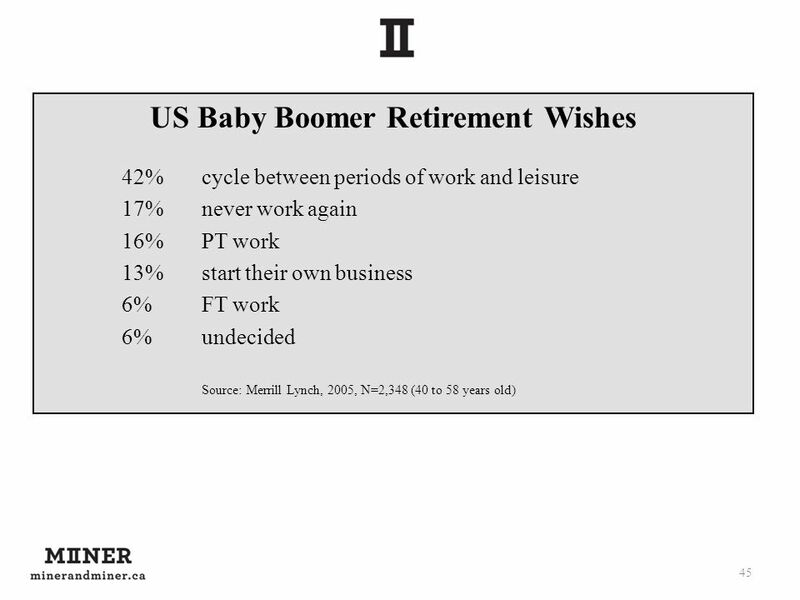 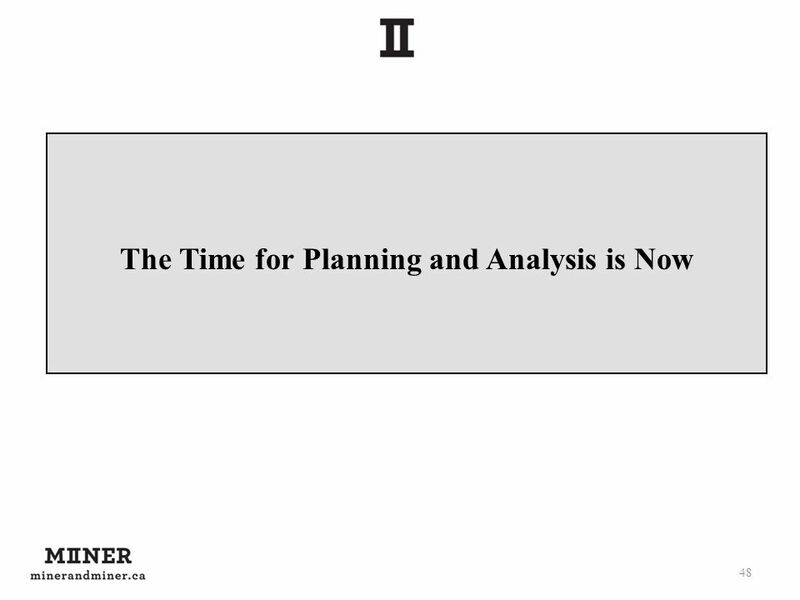 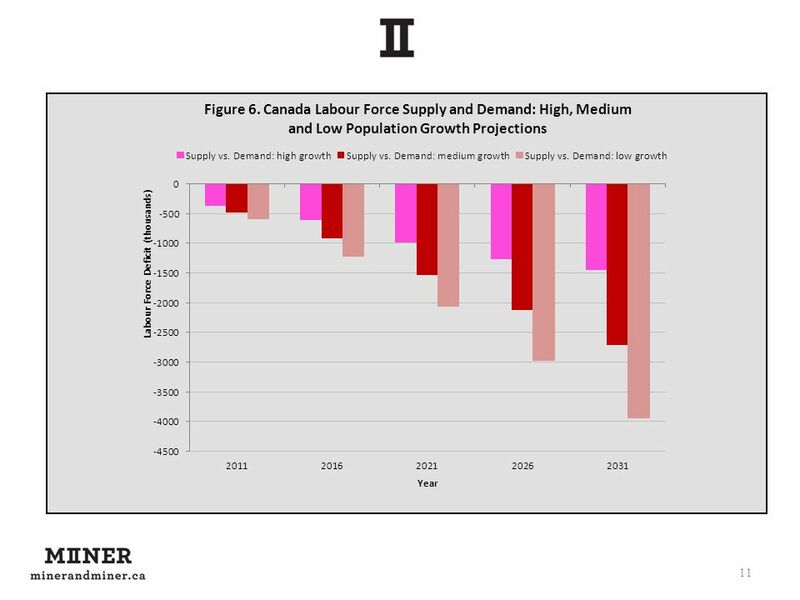 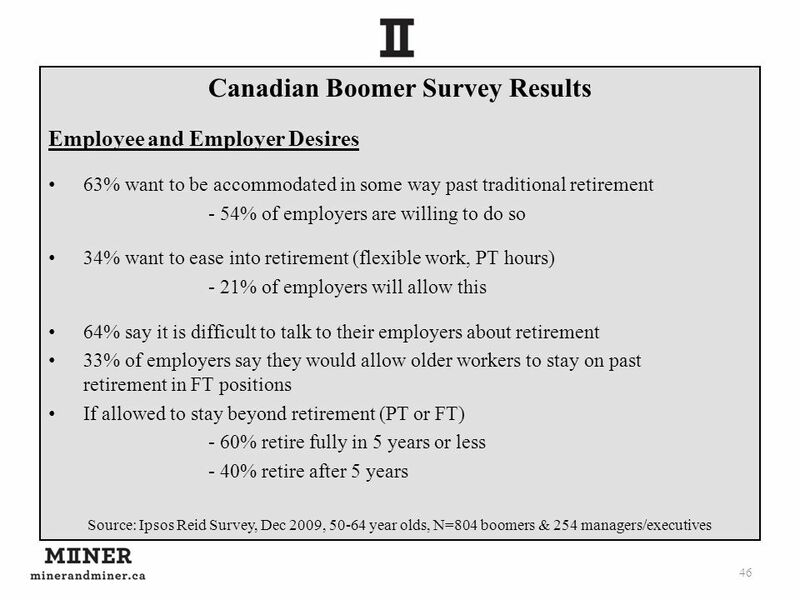 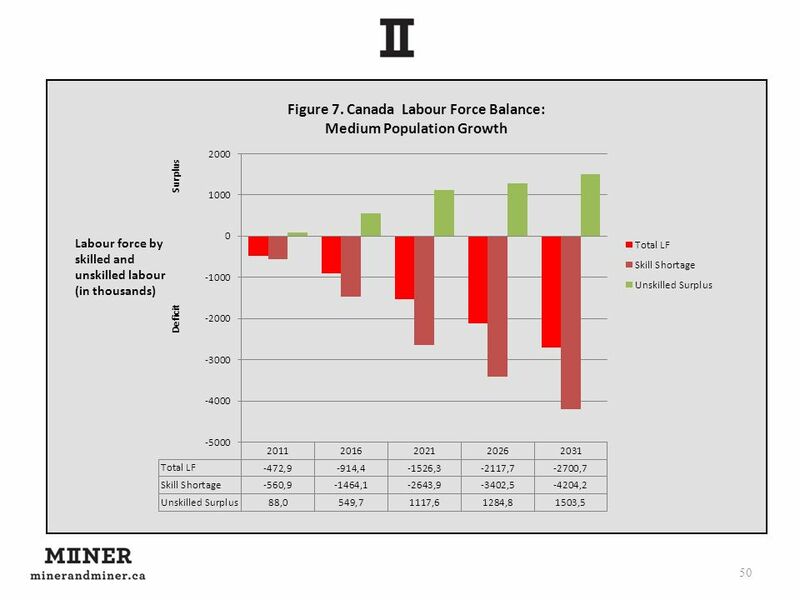 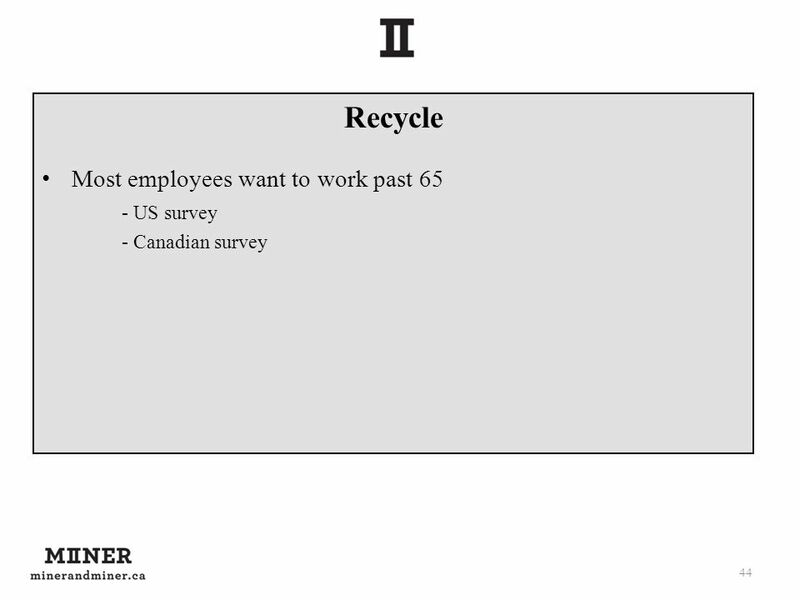 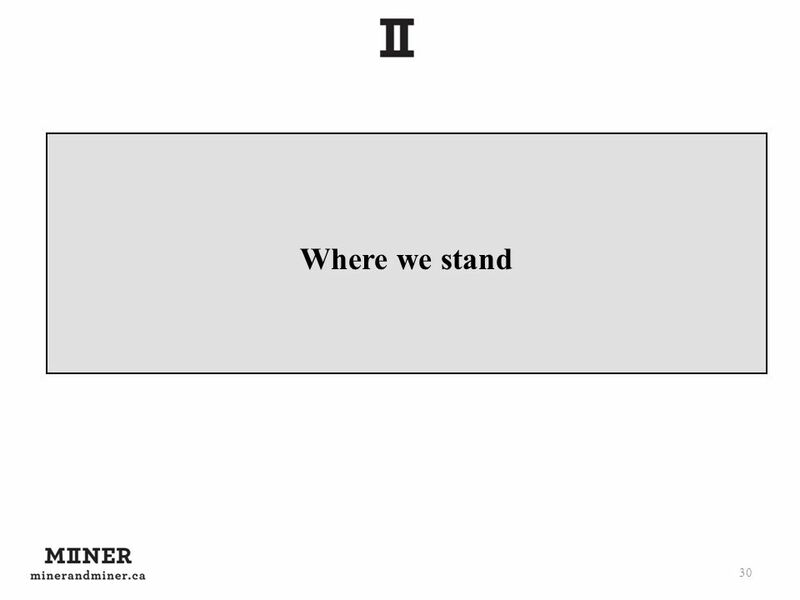 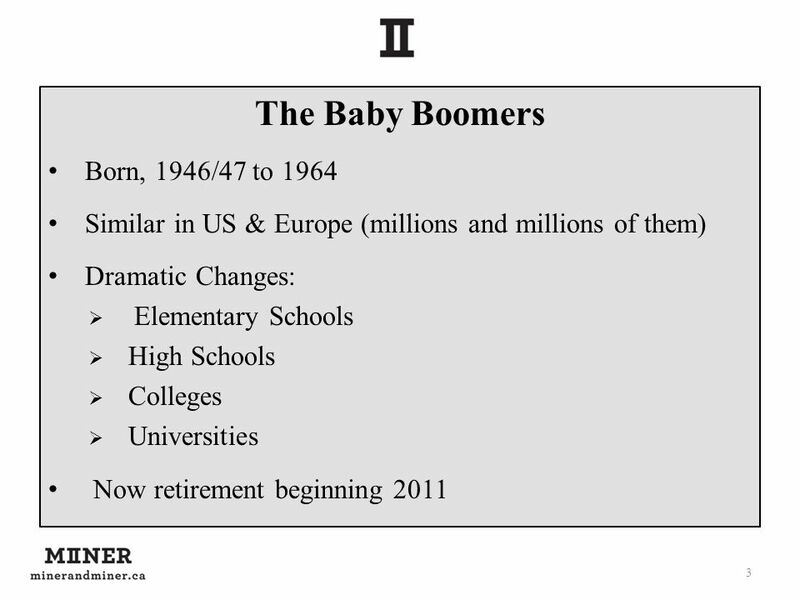 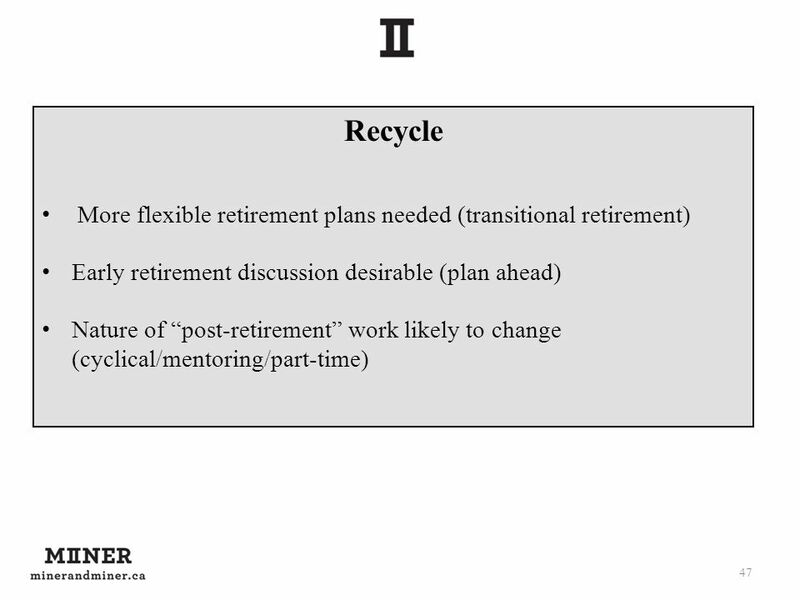 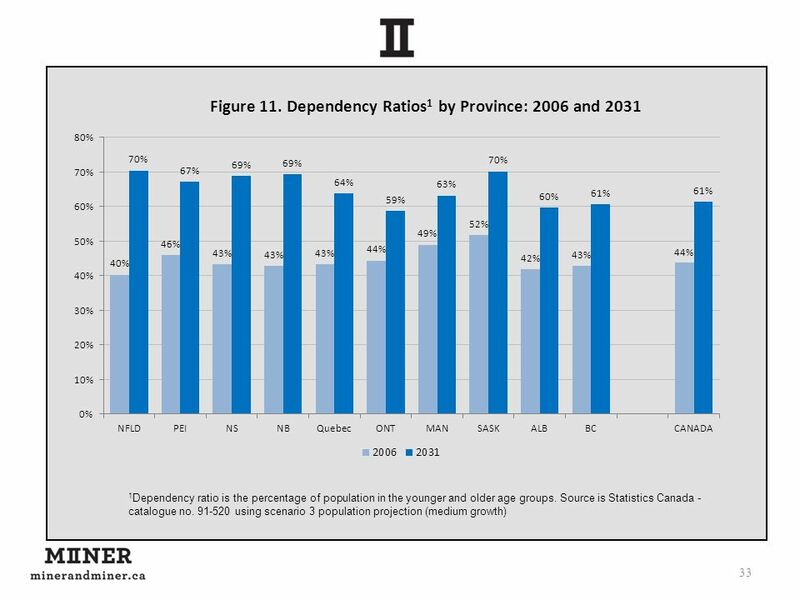 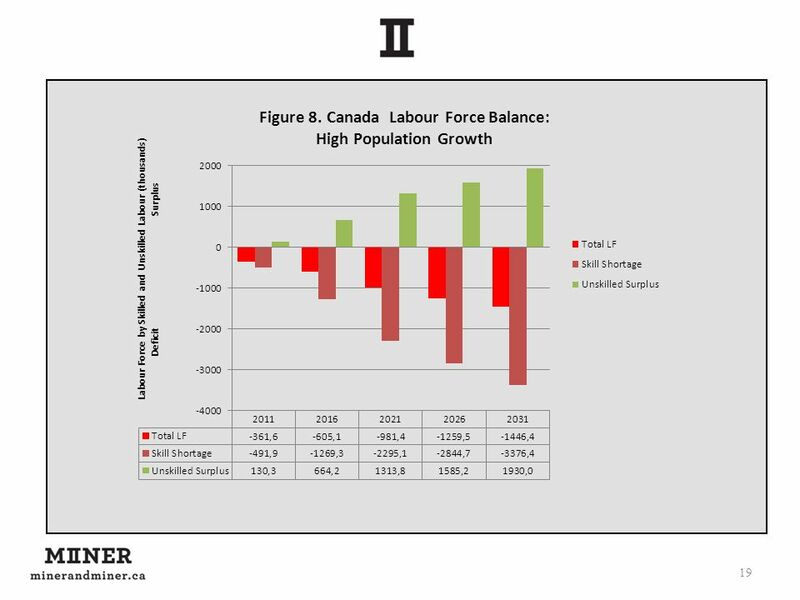 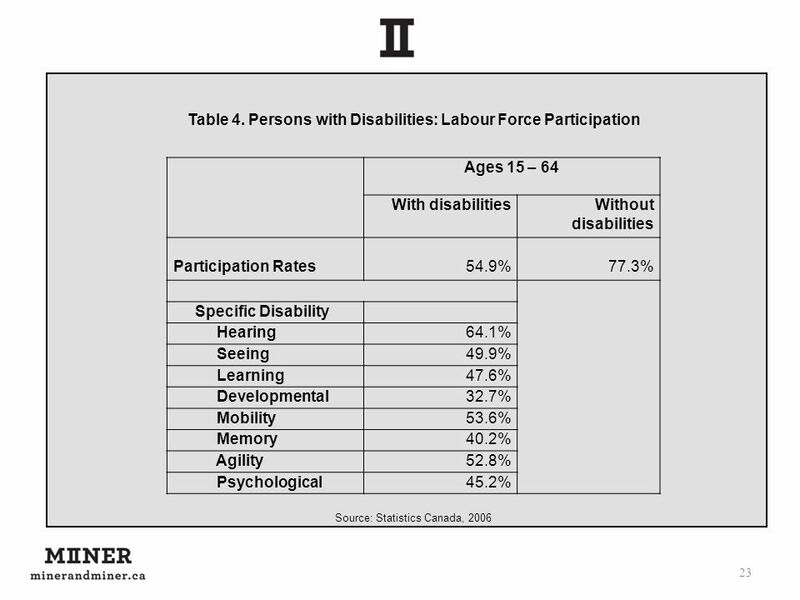 Download ppt "Canada's Labour Market Future"